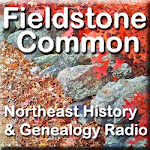 The New England Historic Genealogical Society (NEHGS) has started surveying its eNews readers with single-question queries. Recently they asked their members how long they have been researching their family history. The largest group, 17%, reported that they have been researching for 30 to 40 years. All together 81% of the respondents have been researching for 10 years or more. Interestingly enough only 7% reported researching less than five years and 1% less than one year. What this tells me is that NEHGS has done a great job branding to and retaining experienced genealogists but they are having more trouble reaching newer genealogists. There has been a great deal of talk in the genealogical community about the impact of nationally-viewed programs such as Who Do You Think You Are?, Faces of America and African American Lives. It seems fair to say that these shows are having an impact on the interest of Americans in learning about their family history. New genealogists are the Holy Grail for the genealogical community and, dare I say, the genealogical industry. They bring the opportunity to replenish our genealogical society memberships, fill our conference halls and bring their buying power to industry vendors large and small. The question is how to engage these new family historians. Ancestry.com has done a full frontal assault to attract the attention of new family historians. They advertised heavily during the television programs and they have a broad advertising presence online. They have been very successful, from what I can see, in positioning themselves. But not every organization or professional genealogist has the financial or PR power to attract the attention of new genealogists in the national media. What options are available for everyone else? I don’t have all the answers but here are a few suggestions. Bloggers have leveled the playing field by producing top-notch content that receives high placement in the search engines. In order to attract new genealogists, some focus will need to turn to creating entry-level content that guides new family historians on their journey. Blogs specifically for beginners should be placing special emphasis on their keywords and tags so that beginners can find them. Genealogical societies should have at least two events per year targeted toward beginners. These could be open houses where the general public is invited in. NEHGS, in conjunction with Ancestry.com, recently did this in Boston with a Family History Day and was rewarded with record attendance. Not every organization is going to have to mailing lists like NEHGS or Ancestry.com, but if you advertise heavily locally and post flyers you should be able to draw a good crowd for your events. Genealogical conferences need to focus on new areas to keep the buzz going – such as free classes on basic genealogy in the vendor hall (or a widely publicized track in the main program) and a blogger lounge. Bloggers are the face of the future. If you want to get the buzz out about your conference, embrace bloggers. I can’t emphasize this enough. We need to do little more than look at the recent Southern California Genealogical Society Jamboree to see proof of this. Times have been tough for genealogical vendors and publishers. This group needs to focus on partnering with organizations/conferences that are thinking out of the box and successfully trying to attract new family historians. They should be carefully watching who can draw a large crowd, who provides offerings for beginners and who is reaching out to bloggers. All of the groups above should be embracing social media in their attempts to engage new genealogists and family historians. It has been said many times that the internet has leveled the playing field for large and small organizations. This is still true. A consistent Facebook presence is key for organizations to reach out to their existing and potential members as well as attracting the elusive Holy Grail of new genealogists. Both large and small organizations have succeeded in this. Take a look at NEHGS and Ancestry.com for examples of larger organizations. But also take a look at the smaller Cambridge, MA Historical Society and the Little Compton, RI Historical Society – both of whom do a terrific job of engaging stakeholders. Not interested in Facebook? Then try Twitter. You can have a strong presence there as well. The Nova Scotia Archives and the Connecticut State Library both have strong visibility on Twitter. If you do choose to engage your target audience on social media, make sure that you have a plan to succeed. Too often social media is embraced with gusto only to be abandoned later after running out of steam. Hooray for the Town Clerk. No, not the one in Ohio who just sent you a certified copy of your great grandfather’s birth record. Hooray for David Turner Shaw (1764-1856), Town Clerk of Bath, Maine. He became Town Clerk in 1803 and served for more than forty years. Town Clerks are a devoted, meticulous bunch of people. They are committed to accuracy and correctness. And for this I will be forever grateful. In May 2005, I posted a message to the Shaw surname board on Ancestry.com looking for information about my ancestor, David Turner Shaw. David was one of ten children, most of whom were born in Massachusetts. David and two of his siblings were born after their parents migrated to Bath, Maine. I had little proof of the connection between the Massachusetts and Maine born children. In August 2009, four years after my original post, I received notification of a response from Ancestry.com. It cam e from Ann Raymond of the Monmouth Museum in Monmouth, Maine. The message said she had a handwritten account of the family history written in 1843 by David Turner Shaw himself. I contacted Ann and she mailed me a photocopy of the family history right away. True to his Town Clerk calling, Shaw wrote a detailed, three page history of his family. In the document he honestly revealed which information was accurate and which was to his best recollection. The document gave me the link I needed to prove that he was part of the same Massachusetts family. If you haven’t tried surname message boards maybe now is the time. If you are patient they might just deliver for you too.